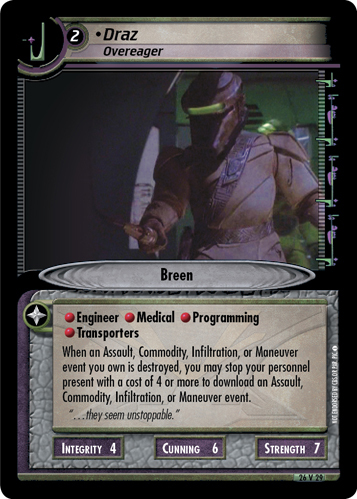 When you fail a mission attempt involving this personnel, you may remove him from the game to unstop up to two stopped Breen and an equal number of stopped personnel at that mission. 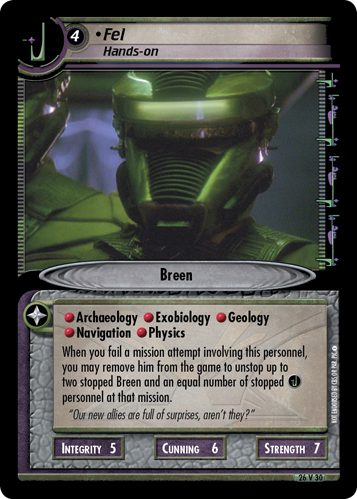 "Our new allies are full of surprises, aren't they?" 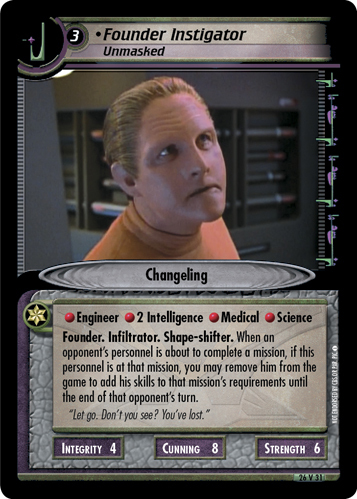 Image Source: Deep Space Nine: "’Til Death Do Us Part"